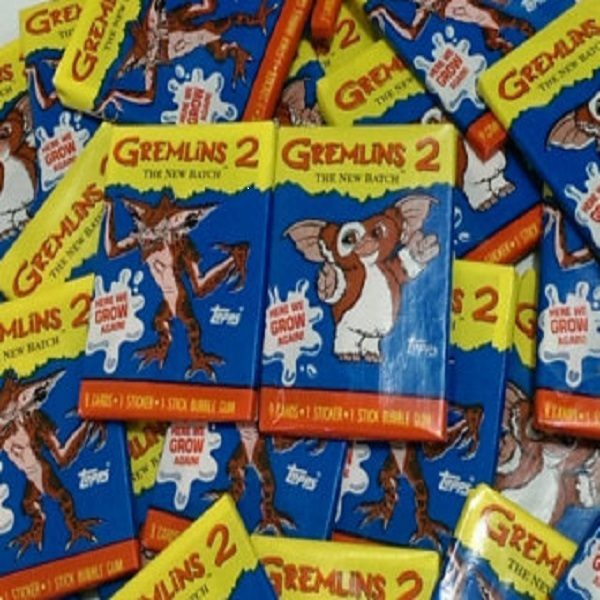 One vintage pack of Gremlins 2 trading cards. Each pack of cards contains 9 random cards and one sticker. 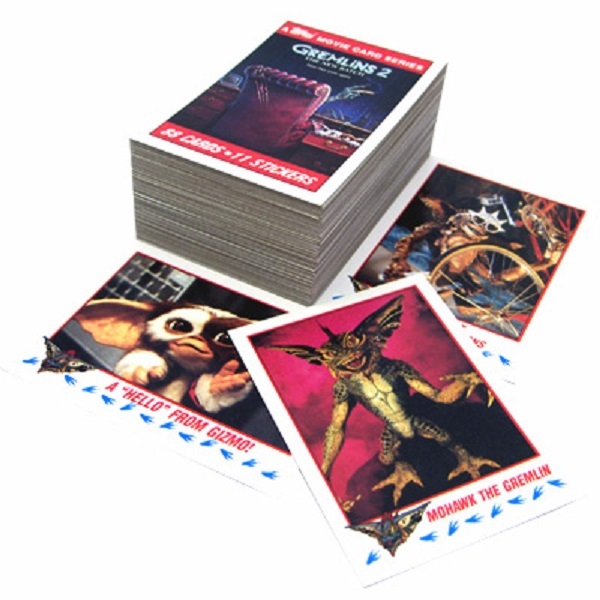 Produced by Topps in 1990, the Gremlins 2 trading cards feature scenes from the movie on the front and facts and production notes on the back and the stickers feature puzzle piece images that form one of two puzzles. There were 88 cards and 11 stickers total in the set. These card packs are still factory-sealed from 1990 so you never know which ones you'll get - so buy a few! WARNING: These card packs also contain a stick of chewing gum from 1990. We advise against consumption of the gum in any capacity and will not held liable if you decide to not heed this warning.